Alsace has been celebrated for its lovely, dry white wines for centuries. 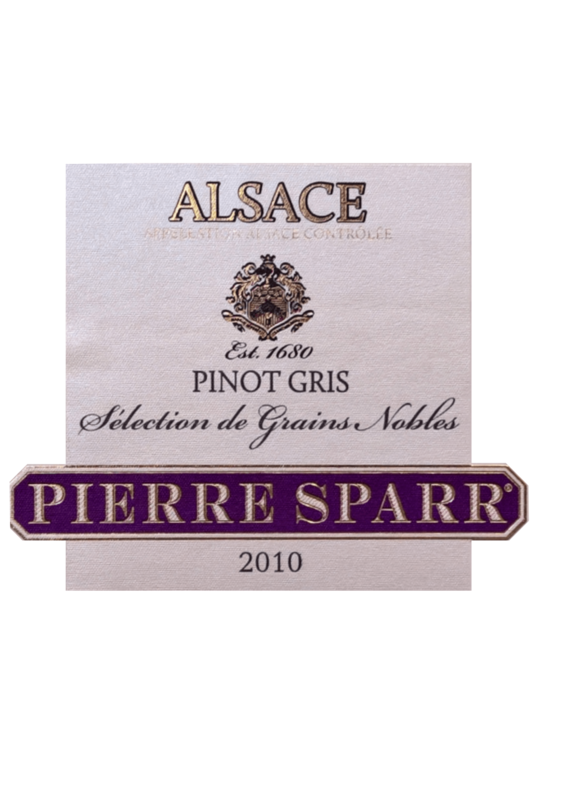 In the heart of Alsace’s finest district, the Haut-Rhin, Maison Pierre Sparr follows a 300-year-old tradition of winemaking that began in 1680, during the reign of King Louis XIV. Today, the devotion to the land, the attention to the smallest detail and the uncompromising quest for excellence can been seen in every bottle bearing the Sparr crest. Sélection de Grains Nobles (SGN) is the French term for botrytis-affected wines, literally translating to “selection of noble berries.” Alsatian wines first used the SGN designation for these sweet dessert wines and it was legally defined 1984. 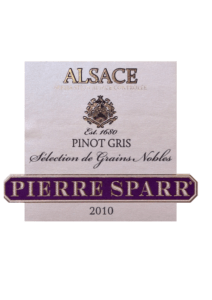 Only Pinot Gris, Gewurztraminer, Riesling and Muscat may be used to make SGN wines in Alsace. This golden wine seduces with aromas of dried apricot and caramel accented by notes of marmalade, lemon peel and rosewood. Upon aeration, notes of ripe pineapple appear, framed by aniseed and curry character that adds dimension. Flavors of rich, ripe fruit, orange and forest honey explode on the palate. The wine’s sweetness is perfectly framed by delicate acidity and muscular body. The taste of this powerful wine lingers.